As a web design agency hoping to provide exceptional service, you need a design and development platform that’s just as exceptional. After all, housing your web development service on a less than stellar platform will only cause you and your clients unnecessary headache — which can ultimately damage your agency’s reputation. And so the question becomes, which among the myriad of platforms on the internet should you choose to power your web design services? That’s where Duda.co comes in. Duda is among the younger platforms that aim to do more than its predecessors. Rather than focusing purely on the web creation experience, it also aims to provide web agencies the technology needed to incorporate branding into their projects, streamline client communications, and cultivate team collaboration. In a sense, it claims to be everything a web design agency will ever need. To find out whether or not they can deliver their promises, here’s a closer look at some of Duda’s core features that are game-changers for agencies. User account management can be tedious, which is why Duda provides a unified tool where you can modify the access privileges of both clients and team members. 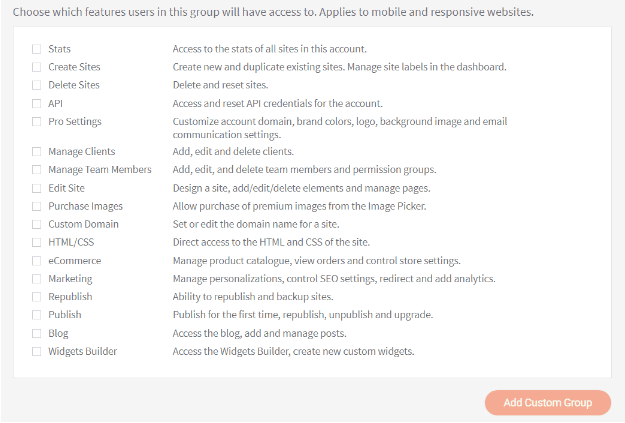 When it comes to your team’s permissions, you start with pre-configured user groups for bloggers, admins, designers, store managers, and sales staff. As one of the most important components of a website, Duda makes sure you don’t cut corners when it comes to your blog. 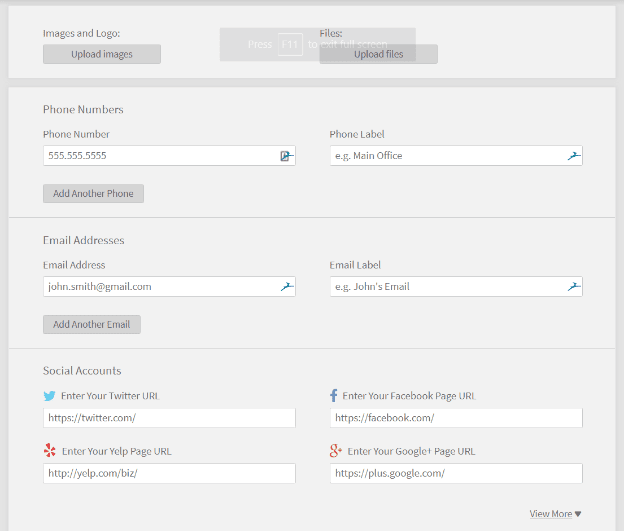 Duda features a simple yet powerful blog manager equipped with a visual post editor. You – or your client – can directly edit your blog’s title, subtitle, featured image, and main body just by selecting them with your mouse. You’re also free to add new blog sections that support various content formats. These include video, images, content section dividers and media embeds from other platforms. Another core advantage of Duda is how easy it is to incorporate branding elements for your agency on the back end. With the user-friendly interface, it only takes a few minutes to customize components, such as logos, buttons, text, and background images. 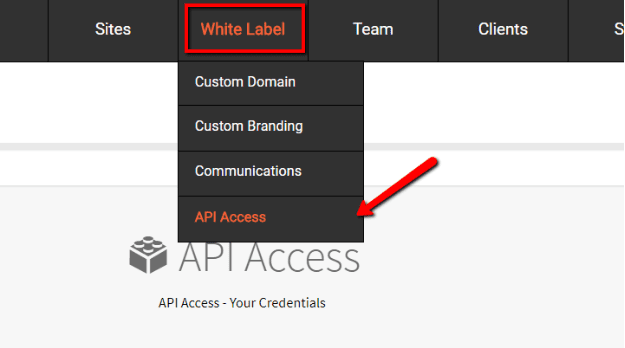 Simply head to the “Custom Branding” section under the “White Label” tab from the main menu. 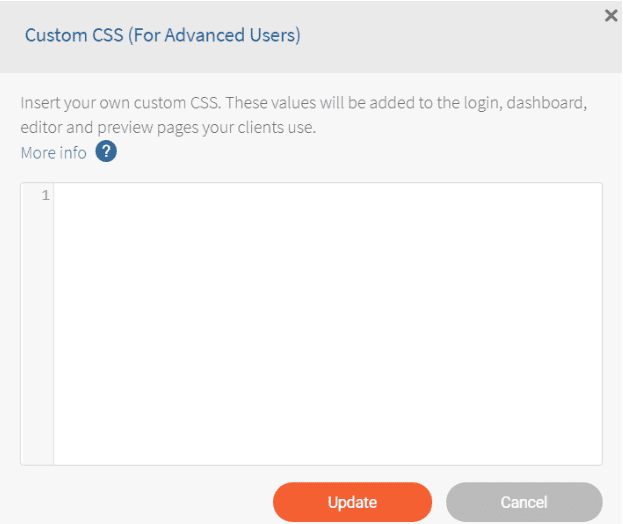 Although Duda isn’t the only platform that supports back-end customization, it managed to make the process as intuitive as possible. This alone can impress your clients, as they’ll be working with a team that has its own proprietary platform. 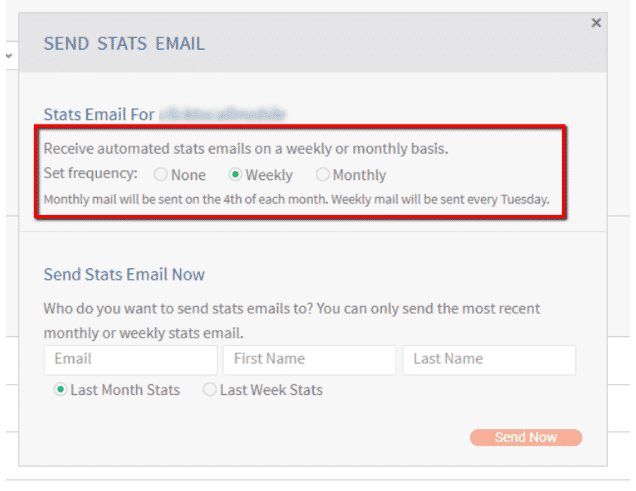 After publishing a new website with Duda, you can easily push a “Welcome Email” to the respective client. Its main function is to notify the client that their site is live, as well as provide them with the login credentials so they can access it and manage it on their own. 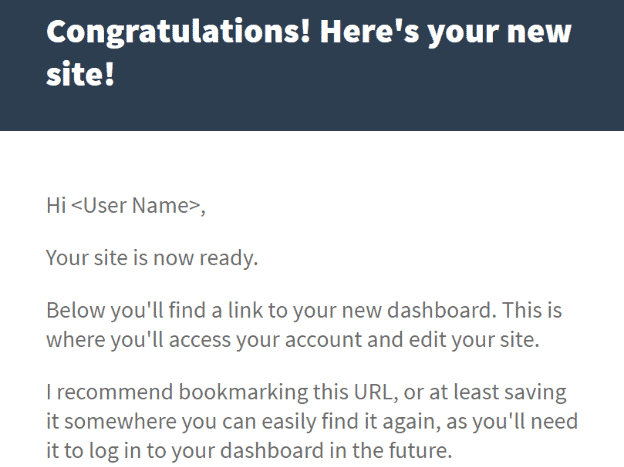 On this page, you’re also presented with a live preview of your Welcome Emails. The mobile-only and responsive versions of the email will be shown side by side. 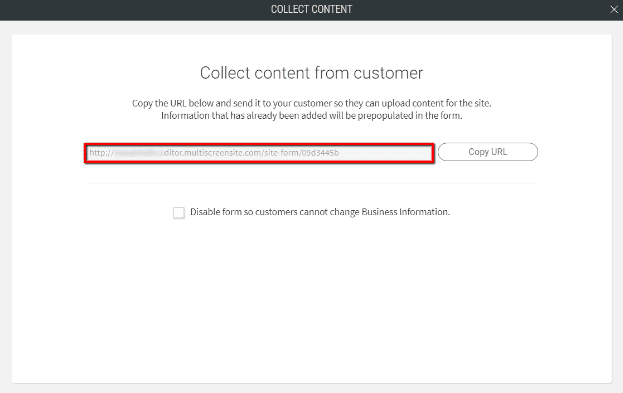 If you’d rather pull analytics data manually, you can do so using the Duda API. You can learn more about this step by referring to this post. Remember that when it comes to scaling your agency, time is of the essence. With Duda’s smart content collection tools, you can focus more on building pages and less on chasing down and preparing the assets you require. With Duda, agencies aren’t only able to build a web design environment for clients and themselves. You can also repackage Duda as your own resellable self-service web design platform. 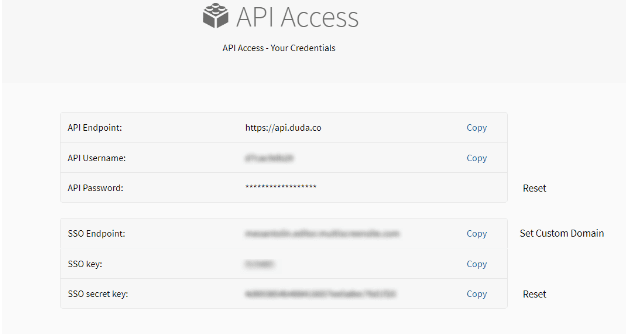 The custom branding, team permissions, and flexible Duda API make it all possible. The traditional approach is to create a DIY onboarding flow, which will direct clients to your white-labeled Duda platform. You can refer to this post for the specific steps of doing this. After you send your API access request, it may take up to 72 hours before it gets approved. Once it does, you should be able to view your API credentials, such as your password, username, and SSO information. To help web design agencies further save time and develop a standout website platform, you can take advantage of Duda’s built-in, drag-and-drop widget builder. This will enable you to create applets within the Duda editor that automate tasks for users. 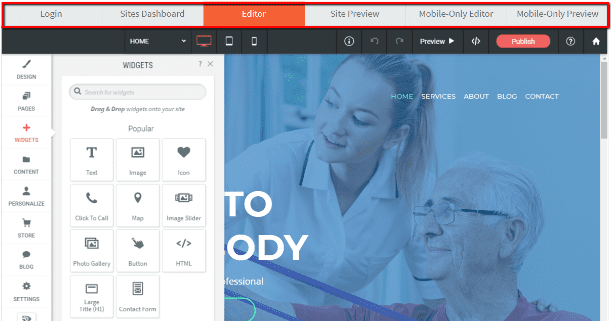 Overall, Duda deserves the attention of every web design agency looking for an all-in-one platform. Not only can Duda do everything a CMS does, but it also helps web design agencies save time while creating resellable website platforms. Duda has also done an outstanding job of making advanced tasks, like widget creation and asset management, look effortless. If you’re interested in what Duda can deliver for your agency, consider signing up for a 30-day free trial. Good luck!